The iPad Pro shows a maturation of the iPad lineup, moving it in a much more Mac-like direction. As Apple’s first truly new tablet in years, the iPad Pro is every bit the beast it was rumored to be. Built around a gorgeous 12.9-inch screen, it doesn’t skimp on the pixels or the power. With its eye-popping 2732-by–2048 resolution and the cutting-edge A9X chip, the big iPad Pro drew a clear line in the sand between it and the Air. As Steve Jobs might have said, it was a screamer. With the new 9.7-inch iPad Pro, however, Apple has blurred those lines a bit. With the same screen size and resolution as its predecessor, the smaller iPad Pro might seem like an inevitable evolutionary step, an update that ticks off the usual boxes and offers basic incentives to upgrade over previous generations. But by elevating the classic form factor, Apple is grooming the iPad to one day replace the Mac, creating a diverse family with clear differences that belie the natural overlap between models. 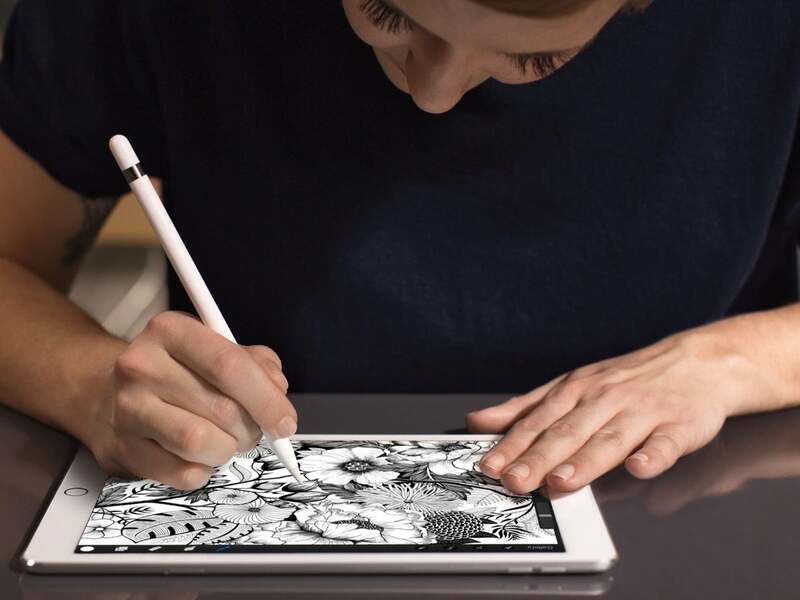 In many ways, the iPad Pro is Apple’s first tablet with an identity all its own. A unique device that raises the post-PC bar, it establishes a new set of standards for what an iPad can do. Where the original iPad was criticized for being a giant iPhone, the Pro is much more than a refresh of the classic tablet; it’s Apple’s first touchscreen device truly imagined for professionals. Before the Pro, the iPad was viewed mostly as a companion device, more than capable of performing a variety of tasks but still seen as needing to defer to the Mac for longer, labor-intensive projects. The Pro has removed much of that perception. While Apple has made it clear that it won’t be building a hybrid machine anytime soon, the new iPad Pro is an important step in the post-PC march, one that brings it closer to replacing the Mac as our most capable device. Apple’s idea of pro has never had much to do with screen size. While there’s a general rule that larger screens equate with more powerful processors, Apple never assumed professional Mac users preferred them. Case in point: at the same time a monstrous 17-inch PowerBook was released in 2003, a diminutive 12-inch model also made its debut, and both were geared toward professionals on the move. 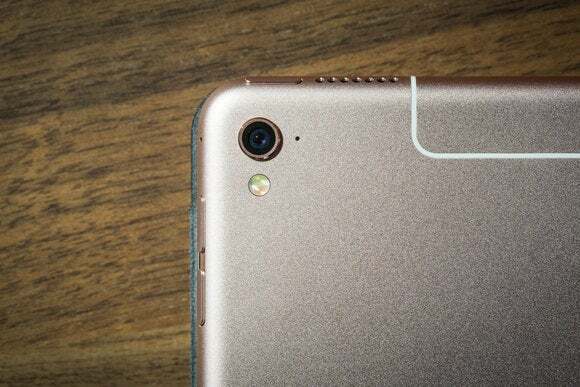 But the assumption that the 12.9-inch screen would be the main distinguisher between the Pro and the Air made sense in light of the iPad mini and the iPhone Plus. Apple’s iOS naming scheme has always been contingent on the size of the screen—Plus at 5.5 inches, mini at 7.9, Air at 9.7—and without any BTO options for processor or RAM, going Pro was primarily a decision to opt for more pixels. One Pro, two sizes—but Apple’s keeping the 9.7-inch iPad Air 2 in the lineup as well, at least for now. But now there’s a smaller Pro, and for the first time there are two distinct models of the same iPad to choose from. If the the iPad Air 2 isn’t left to languish and die, the iPad line begins to look very much like the MacBook one, with numerous options in the middle to fit various needs. Where the 7.9- and 12.9-inch models will likely continue to bookend the iPad line and appeal to specific niches of buyers, the 9.7-inch iPad Pro is the breakout star, with models differentiated by performance and expansion rather than size. When pitting the new iPad Pro against the iPad Air 2 (which is still on display at the Apple Store), there is a noticeable speed difference, not unlike the one you’ll encounter when switching from a MacBook Air to a MacBook Pro. Applications open faster, Split View is snappier, and the overall performance enhancement improves the whole experience. Even without accessories, the iPad lets you do more. You would never shoot video with your Mac, for example, but the 9.7-inch iPad Pro can shoot in 4K, and then edit the video too. But the beauty and the power of the PC has always been its expansion capabilities. As far back as the Macintosh 128K, Apple has cultivated a close-knit community of peripheral device makers, but the iPad’s add-ons have mostly been limited to cases and covers. Much like the MacBook Pro offers ports that the Air and the MacBook don’t, the Smart Connector and Apple Pencil are the main step-up features for professional Multi-Touchers, the first tablet accessories built to truly expand the capabilities of the iPad. The Smart Connector changes that by opening up the iPad to a world of expansion, and hopefully it won’t be long before hubs, docks and hard drives are available, further blurring the division between it and the Mac. With the iPad Pro, Apple finally has a post-PC device that can actually replace a PC. iOS still pales in comparison to OS X, but with the latest multitasking capabilities, that performance gulf is becoming less of an issue. And I think iOS 10 will only continue the shift away from the iPhone. The Pencil is a natural for artists, but also anyone who just thinks better using pencil and paper. 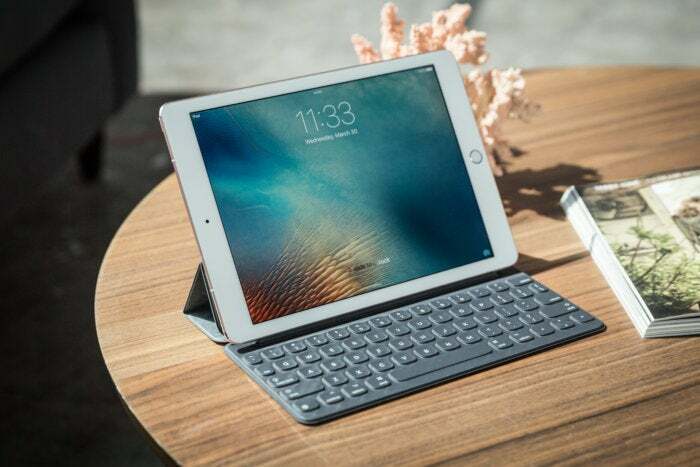 With the Smart Keyboard and Apple Pencil, Apple has two tools that can give iPad users smarter, faster ways to navigate and multitask, spending less time tapping the screen and more time working. And apps, too, could use a boost. The most glaring omission is Xcode, which has always been tied to the Mac. Porting its integrated development environment to the iPad wouldn’t just give coders a break; it would pave the way for powerful desktop apps to make their way to iOS without sacrificing features or dumbing down the interface. If the iPad mini was a concentration, the iPad Pro is a maturation. To fight flagging sales, Apple has doubled-down on the iPad, following the blueprint created by the Mac to build a diverse, versatile line of tablets able to handle anything you can throw at them. The post-PC revolution is far from over. But the Mac might be running out of weapons to fend it off.